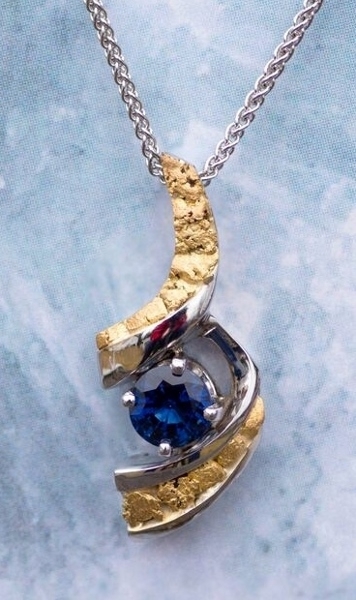 14Kt White Gold and Sapphire Slide Pendant with Natural Alaskan Gold Nuggets. This piece can be customized for you by using a colored stone of your choice or even a different stone shape of your choice and can also be made in yellow gold. Please call us today to discuss how to customize this ring for you.